Something that I use every day and night, pretty much without fail, has to be worth mentioning and so without further ado let's talk the best cleanser ever; the Emma Hardie Amazing Face Moringa Cleansing Balm (£34). Mentioned in my April Favourites, I originally bought it a few months ago on Caroline Hirons' recommendation - does anyone else take her word as gospel? - and never looked back, it ticks every box and almost justifies the hefty price tag. Without a doubt I'd repurchase, but begrudgingly. In the spoonie world, Tuesday used to mean one thing: Lipstick Tuesdays. Now it means two - as not everyone wishes to wear lipstick or is a product junkie like myself - and so Anna and Cara have increased inclusivity by creating Chipper Tuesdays. On my first submission I donned both a kimono and Revlon Just Bitten Kissable balm stain in 'Lovesick' (£7.99), and remembered why I wore it constantly in Freshers at university. It's the nicest hot pink since MAC 'Impassioned' and is sitting pretty in my makeup bag again. As mentioned in The Fortnightly One #2, Netflix has been bringing it in terms of series. I'm still in love with The Office, I've said it a hundred times and I'll say it again: it is completely, utterly brilliant. 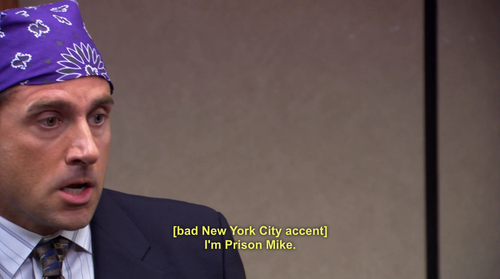 And the 'Prison Mike' scene will always be my favourite thing. Forever. "The worst thing about prison was the Dementors." As if I haven't already got enough series on the go, I've also started Orange Is The New Black, Grimm, Fry's Planet Word and have my eye on Homeland, House Of Cards and Arrested Development. Not forgetting that Derek is back for its second series on Channel 4 - so far it's good, but not as funny as Series One. Maybe it's just me, but something seems a little 'off' with the acting this time around. Whilst staying at Will's last week (see what we got up to here) we watched Notes On A Scandal, which was so good. I'm a big fan of British dramas and psychological thrillers and this didn't disappoint - well paced, gripping and with a frighteningly faultless performance from Dench and the fantastic Blanchett and Nighy, it was darkly marvellous. "With stealth, I might secure the prize long-term; forever in my debt." 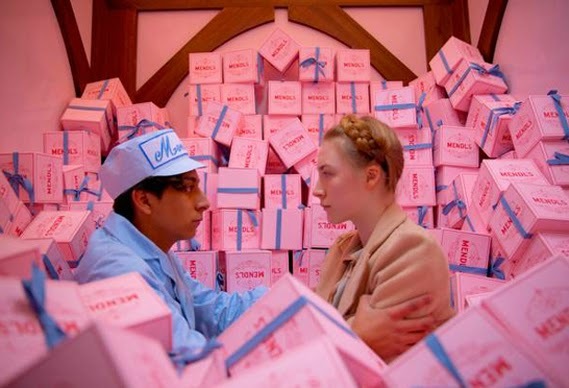 That night, we went to see The Grand Budapest Hotel and I loved it. 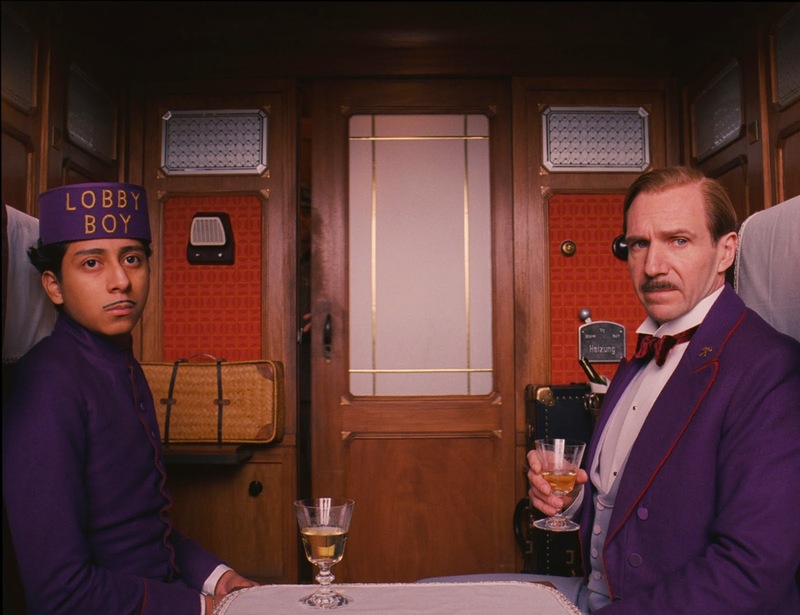 Stylish, witty, sophisticated and with a stellar cast, Wes Anderson did a beautiful job with this one. Tilda Swinton was unrecognisable, I'm a sucker for Jude Law and Edward Norton, Saoirse Ronan shone, Adrian Brody was hilarious and Ralph Fiennes just made the film. 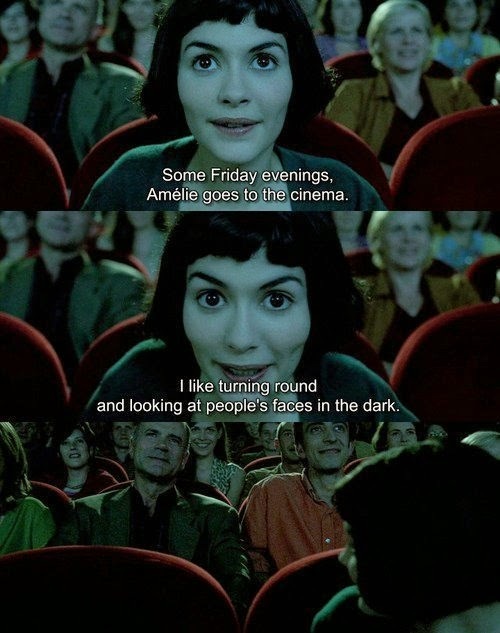 After a conversation about quirky films on the journey home, the next day we watched one of my all-time favourites - Amélie. It's whimsical, romantic, charming and well, just delightful. Every time I see it, I fall in love all over again. 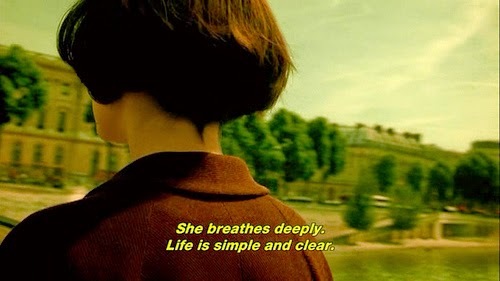 If you're after some feel-good viewing that's a little something different, go for Amélie. Fruit, of any sort. I fell off the clean eating bandwagon over Easter - can you blame me - and am now keen to jump back on it. My main meals were fine, but I'd had so many desserts and chocolate that I began to feel unwell from the copius amounts of sugar. With a huge healthy shop done, I've got the ingredients to start eating well again and at the moment, I'm addicted to fruit - namely strawberries, mango, green apples and melon. Visit Meg Says Eat for more clean eating - I post every day! Currently I'm reading Room by Emma Donoghue, which is interesting both in subject matter and narrative. About a mother and son held captive by an abductor, it's unique to anything I've ever read and I find it quite unsettling knowing that the story must've been inspired by true events. An extremely compelling novel, but a difficult topic to dwell on. My favourite blog this fortnight has been, without hesitation, ghostparties aka the babe that is Kate. I loved her review of the Tarte Amazonian Clay 12-Hour blushes here - must get my hands on those puppies - and the new YSL Babydoll Kiss & Blush products here, which look darling. 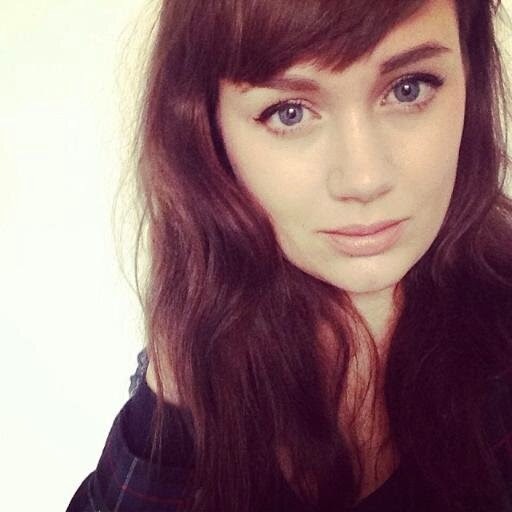 'Shade 1' is stunning on Kate and has been added to my wishlist! 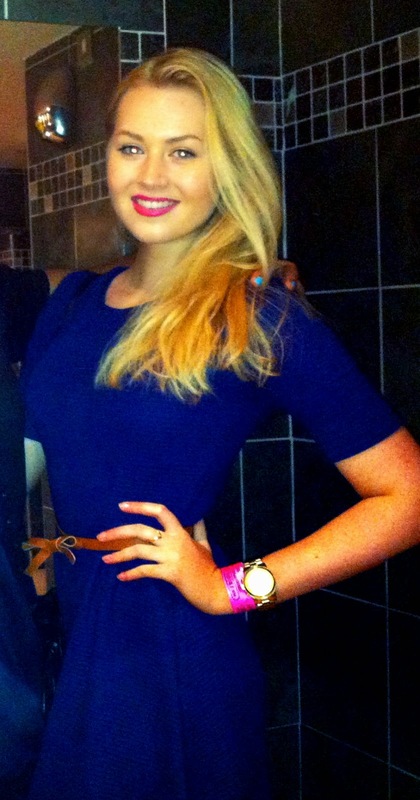 We've chatted a few times on Twitter and she's beyond lovely. So happy that she has started making YouTube videos again also, perfect viewing for any beauty lover. I save them up to watch on a Sunday afternoon, cat and cup of tea necessary. Anyone else who removes their brain for an hour every Monday night for some guilty-pleasure viewing will know that Made in Chelsea is back on our screens, and as with every other series, I've been experiencing some serious style envy. She's no longer a cast member, but I follow Millie Mackintosh on Instagram and am constantly in awe of her amazing wardrobe. And banging body, but as I can't exercise with my ME I try not to lust after her figure too much as I'd drive myself up the wall! She has a style diary on her website and this look really caught my eye (as did this one and this one), and I was so pleasantly surprised to see that she posts a lot of high street looks. Of course, she makes them look expensive and designer, but I love that she's catering to us 'ordinary' gals. As for pyjamas, I'm currently lusting after every item I included in my 'Nightwear' post that I don't already own, and have been obsessed with Hush and their chunky waterfall cardigans. Being housebound wouldn't even both me with one of those babies on, I'd just be contently snug and warm. And I'm sure my jumper-loving kitty cats wouldn't mind getting huge cuddles whilst I'm wearing it either, just sayin'. London Grammar. Just really very good, aren't they. P.S. can I have Hannah's hair? 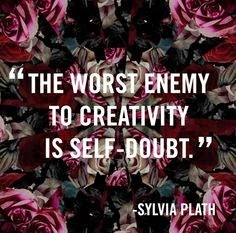 Don't doubt yourself. Don't be your own worst enemy. Don't worry about what people will think. Don't worry about what people will say. If you want to do it, do it. What doesn't matter is if it works out or not, and what does matter is that you tried. Doubt has killed more dreams than failure ever will. Let me know what you've been loving recently - films, books, a new topping on your toast? I love Wes Anderson! If you like quirky indie films I also recommend Wes Anderson's Moonrise Kingdom (my favourite!) And Submarine directed by Richard Ayoade from the IT Crowd!